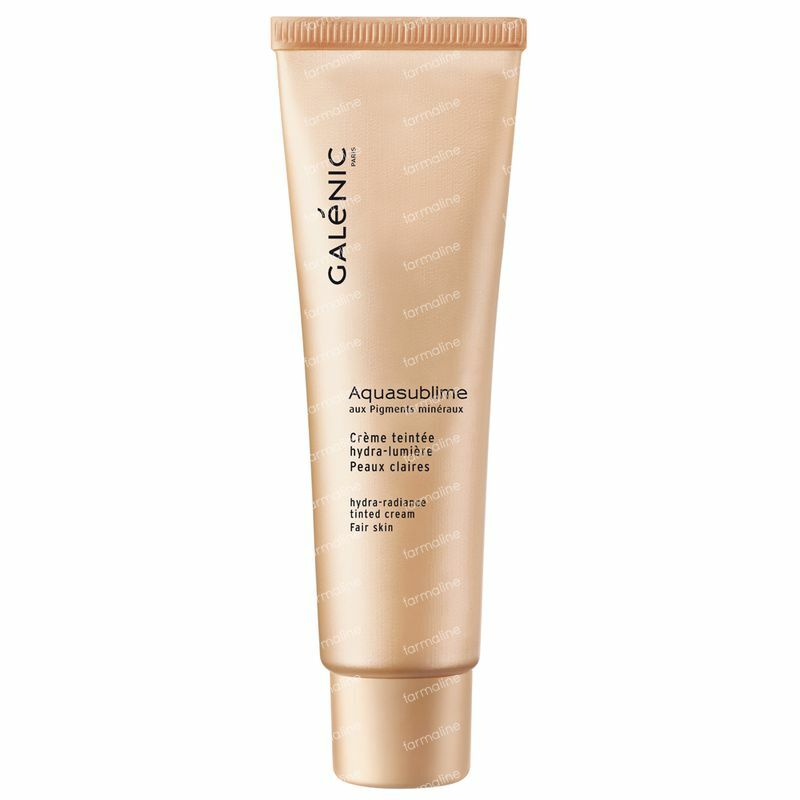 Galénic Aquasublime Tinted Cream Light Skin 30 ml order online. WATER (AQUA). CYCLOPENTASILOXANE. PROPANEDIOL. DIMETHICONE. TITANIUM DIOXIDE (CI 77891). BETAINE. SIMMONDSIA CHINENSIS (JOJOBA) SEED OIL (SIMMONDSIA CHINENSIS SEED OIL). PEG/PPG-18/18 DIMETHICONE. ALUMINUM STARCH OCTENYLSUCCINATE. SODIUM CHLORIDE. BUTYROSPERMUM PARKII (SHEA BUTTER) (BUTYROSPERMUM PARKII BUTTER). CAPRYLYL GLYCOL. CHLORPHENESIN. CITRIC ACID. DISODIUM EDTA. FRAGRANCE (PARFUM). HYDROGENATED LECITHIN. IRON OXIDES (CI 77492). CI77491). (CI 77499). MICA. PEG-10 DIMETHICONE. POTASSIUM SORBATE. RIBES RUBRUM (CURRANT) FRUIT EXTRACT (RIBES RUBRUM FRUIT EXTRACT). RUBUS IDAEUS (RASPBERRY) FRUIT EXTRACT (RUBUS IDAEUS FRUIT EXTRACT). SODIUM BENZOATE. SODIUM STEAROYL GLUTAMATE. TOCOPHERYL ACETATE. VACCINIUM MYRTILLUS FRUIT EXTRACT. I'm very pleased with this product for my combination to oily skin. I had to look around for a long time for something that matches my skin. The other products I already bought left a film and smelled bad. 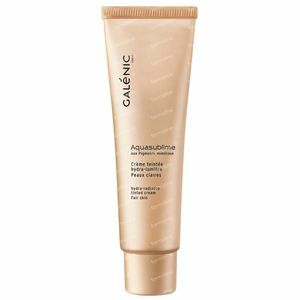 This one hydrates my skin perfectly, protects it and nourishes. It's sparing in use too. Very good product for very dry skin ,however is too expensive for a 30ml size and does not have sunscreen is soft and has got natural look.Nice smell. The best BB cream out there if you ask me. The color looks completely natural, not too dark on the skin nor does it change color during the day like so many others do. It doesn't feel heavy or like you're wearing makeup.